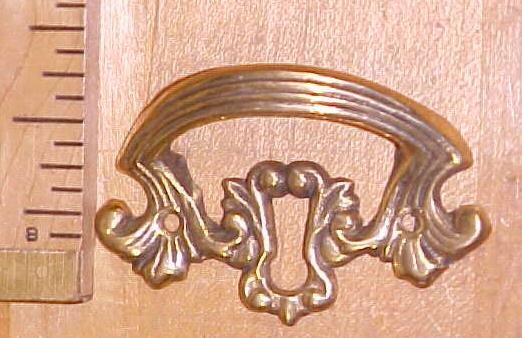 This is a nice drawer pull, all the same style and size, all made of cast brass, with the acanthus design highlight. 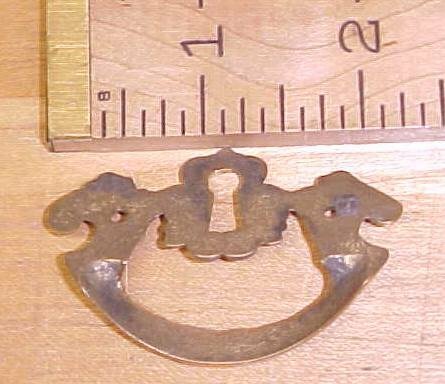 These are designed to leave clearance for key passage through it or a escutcheon opening in the casting, so you can opperate the lock with a key up to .2" diameter x .5" long slot. The pull is 1.5" x 2.5", and the mounting holes are 1.31" on center. Very nicely made handle pull overall, strong and solid. A good, sturdy, and nice looking drawer pull! Price is per each x the quantity shown in the quantity number listed. 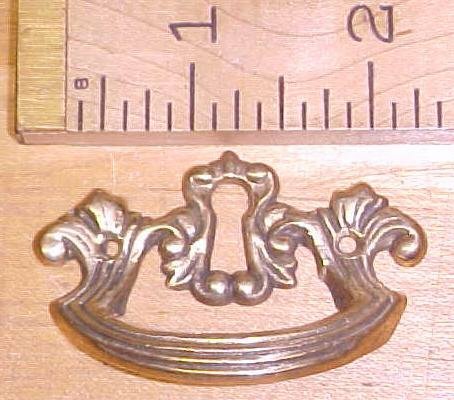 Items Similar To "Antique Drawer Pulls Ornate Hardware Brass Key Hole"